Magnetic resonance imaging is a medical test or technique that uses imaging technology and radio frequency waves to obtain images of human anatomy. The main difference compared to traditional X-ray is that MRI does not use electromagnetic radiation – X-radiation. During one magnetic resonance imaging session the technicians may obtain hundreds of images – these can be stored digitally for assessment by healthcare professionals. Robust, solid shield avoids artefacts on MRI image. Perfect visibility of pumps at a distance. Various sizes of MRI shield. Includes an arcomed Docking Station for convenient handling of pumps. How can we obtain high-quality images from magnetic resonances? Normally, the patient should wear a hospital gown when undertaking the test. The patient should remove every piece of clothing with metal clasps or zippers (such as trousers or jackets). The patient will also be asked to remove any jewelry or metal items, since metal can cause blurry images. The patient will be laid on a stretcher, which will slide through the MRI shield (MRI Shield UniQue). Depending on the area to be imaged, the radiologist will place small devices – called coils – around the head, arm or legs. Coils will help the radiologist to receive the radio waves (improving the quality if the images). The use of contrast is another technique to improve the quality of the images. Contrast is a special dye delivered into the patient’s body (normally through the bloodstream). This dye allows the radiologist to observe and analyse the body with a clear image. Magnetic resonance imaging is not painful. All the patient needs to do is remain still throughout the procedure. Usually, the test lasts between 30 and 60 minutes. However, this period depends on the images required; some tests may take longer. The patient is constantly watched by the radiologist or healthcare staff. There is also an intercom system between patient and healthcare staff, allowing the patient to express his or her feelings and sensations at any time. 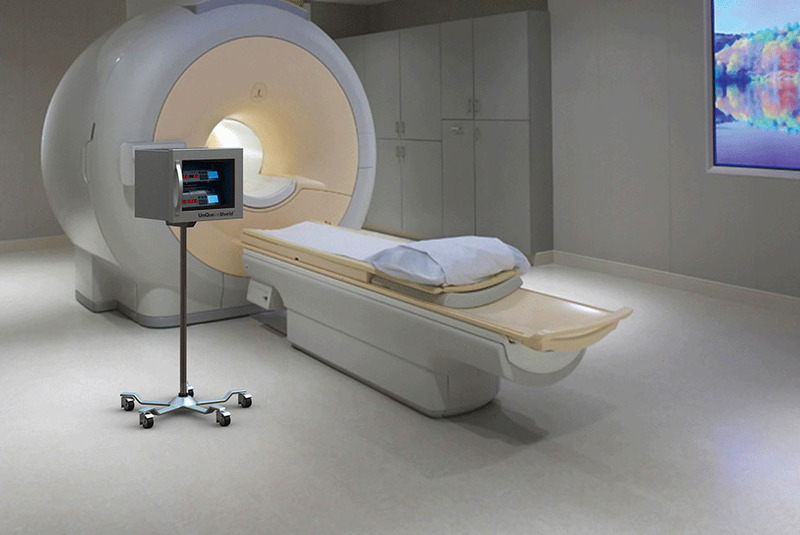 Finally, magnetic resonance imaging tests do not require a recovery period. After the test, the patient can go immediately resume normal activities.